There is a growing trend among Australians these days where they are flocking to Thailand for dental treatment. More specifically, it is the lure of getting dental implants done at a cheap cost that is behind this growing form of medical tourism. The larger question, and an important one concerning you, is whether this is something that really benefits you? Or, is this fad of getting dental implants overseas something that you should be alerted to? So, to get things straight, there is a fair amount of monetary savings you could manage when you get your dental implants done in Thailand. 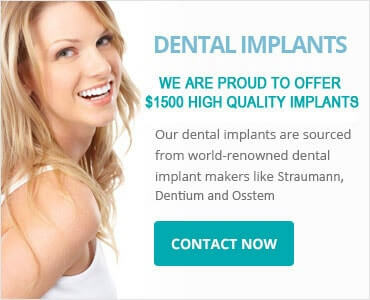 But have you wondered just how such complex and risky procedures can be done at these low dental implants prices? Is it worth trying to save your hard earned money at the cost of a potential health hazard? For, the hard truth is that a low cost treatment is only possible when there are compromises made on the quality of the medical personnel and the equipment used. While not all dental procedures that you would encounter in Thailand may result in a sub-standard result, is it worth taking a chance when you know the ground reality is different from what you have here in Australia. Sure, there are people making a beeline for Thailand and availing of packages that club a holiday with a dental treatment. Other procedures like treatment to crowns and application of veneers also attract tourists looking for cheap deals like in the case of reduced dental implant prices. To begin with, the misconception of the dental implants cost being high needs to be cleared. With a proper health insurance in place, a subsequent expense need not be the costly affair it is made out to be locally. And then there is the sheer risk of a low cost dental implant treatment in Thailand going horribly wrong. The resultant procedure you would have to do then in Australia could be surely a very expensive one. So, wouldn’t it be better to reflect once on the high medical standard that is guaranteed at home against the unknown element in an alien location? Particularly, when there is a lure of a bargain being offered for a medical treatment! It will do well to be aware of the reputation of your hospital – something that is quite transparent in Australia; and familiarly with the medical team – that is, anyway, fully qualified and experienced. Something that you could well be taking a chance in Thailand, at the cost of a possibly lower dental implant cost! If the result of your tooth implant cost is not a happy and satisfactory one, the real cost cannot be measured in money terms alone. But then, as we saw here, a closer look reveals that dental implant prices are not really cheaper in Thailand. Don’t forget that you will be required to pay in Thai Baht, not dollars, when paying for your dental services in Thailand. Exchange rates and money conversion rates apply. Costs are getting affordable in Australia too and there can be no alternative for quality treatment, complete peace of mind and a healthy smile. For more information on dental procedures, and prices call the experts at Tooth Implant Sydney at 1300 850 072.